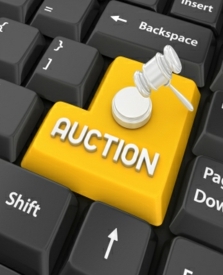 Justin Time Auction has been in business since 1995 serving the South Jersey community and surrounding area. We specialize in the appraisal, sale and/or purchase of antiques, collectibles, china, glass, pottery, heirlooms, jewelry, coins and fine furnishings. In addition, we provide clean out services of all sizes for realtors, attorneys, trustees, executors and private individuals in need of these services. We will buy/sell one item or entire contents of a home, collection or estate. Do you need a certified appraisal? We prepare professional certified appraisals for estate tax, estate distribution, loss and damage claims, divorce cases, bankruptcy and insurance purposes. We offer reasonable rates and quick turn around time for completed certified appraisal reports, providing copies to all involved parties. We also provide expert witness testimony when necessary. Our services are available to clients residing in New Jersey, Pennsylvania and Delaware.